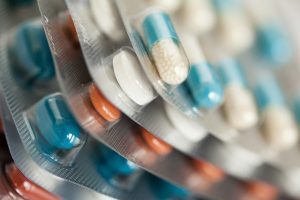 The UK Government announced plans to increase current prescription charges by 20p, or 2.3%, to a record £8.80, new prices will come into effect as of the 1st of April. Prescription prepayment certificates, available in annual and three-month forms at £29.10 and £104 respectively, will be unaffected by the rise to “ensure that those with the greatest need, and who are not already exempt from the charge, are protected.” According to the government, prescription charge income is expected to rise “broadly in line” with inflation. The move is aimed to aim the government deliver its commitment to cut £22 billion from the NHS in “efficiency savings” and inject £10 billion into its front-line services, as outlined in its Five Year Forward View as part of the 2015 Spending Review. Although, the move has been met with criticism. Matina Loizou, co-Chair of the Prescription Charges Coalition and Health Policy and Campaigns Lead at Parkinson’s UK remarked: “This hike will be catastrophic for people with long-term, or life-long, conditions: 20p per prescription can put further strain on already stretched budgets. Many people are unable to work full-time because of their condition and on top of additional costs – such as specialist transport or specific dietary requirements – prescriptions charges can push them over the limit.